Matthew Kohrman is an Associate Professor of Anthropology at Stanford University. Gan Quan is the Director of Tobacco Control at the International Union Against Tuberculosis and Lung Disease. Liu Wennan is an Editor for the Institute of Modern History at the Chinese Academy of Social Sciences. Robert N. Proctor is a Professor of the History of Science at Stanford University. Stanford University Press: A favorite icon for cigarette manufacturers across China since the mid-20th century has been the panda, with factories from Shanghai to Sichuan using cuddly cliché to market tobacco products. 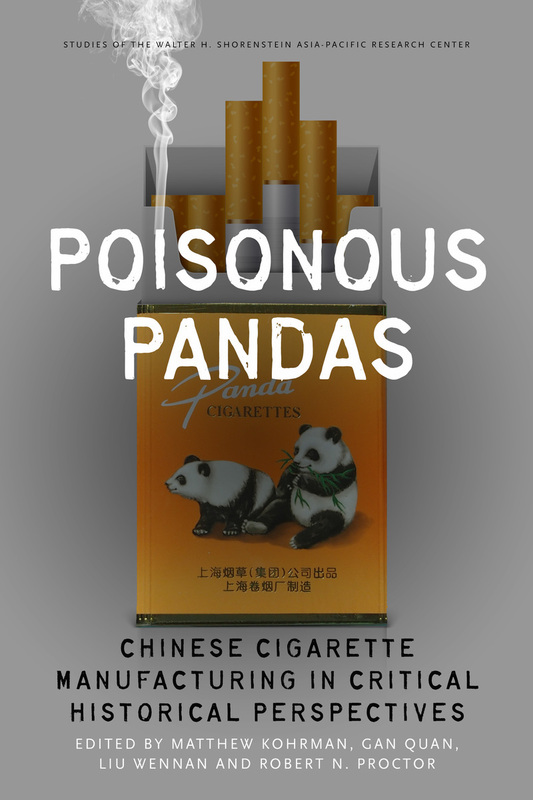 The proliferation of panda-branded cigarettes coincides with profound, yet poorly appreciated, shifts in the worldwide tobacco trade. Over the last 50 years, transnational tobacco companies and their allies have fueled a tripling of the world’s annual consumption of cigarettes. At the forefront is the China National Tobacco Corporation, now producing 40 percent of cigarettes sold globally. What’s enabled the manufacturing of cigarettes in China to flourish since the time of Mao and to prosper even amidst public health condemnation of smoking? In Poisonous Pandas, an interdisciplinary group of scholars comes together to tell that story. They offer novel portraits of people within the Chinese polity―government leaders, scientists, tax officials, artists, museum curators, and soldiers―who have experimentally revamped the country’s pre-Communist cigarette supply chain and fitfully expanded its political, economic, and cultural influence. These portraits cut against the grain of what contemporary tobacco-control experts typically study, opening a vital new window on tobacco―the single largest cause of preventable death worldwide today.